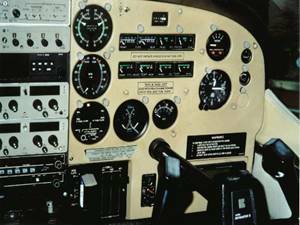 Cessna T337H Instrument Panel Upgrade | AVSTAR Aircraft of Washington, Inc. 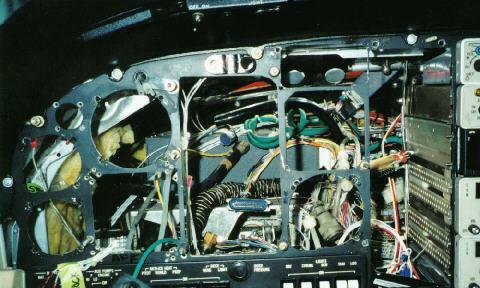 Sometimes changing some engine instruments can be a challenge. 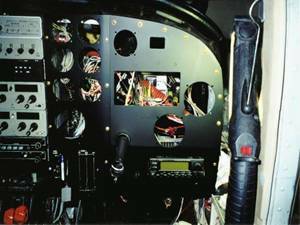 We attacked a section of one of Cessna's more complex instrument panels and made it state of the art. As the Cessna T337H arrived. Last year, we installed the Shadin fuel flow, but the customer was less than impressed with the performance of the other engine “steam gauges”, so a new plan was created. 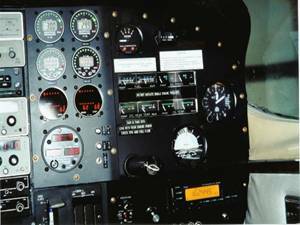 It’s amazing the mess Cessna can cover up with a plastic panel! Sheet metal work complete on new right hand instrument panel. 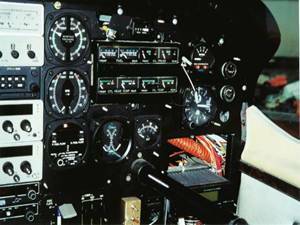 Completed installation of new right hand instrument panel, including (2 of each) new M-1 Manifold Pressure Gauges, R-1 Tachometers, and UBG-16 Engine Analyzers. 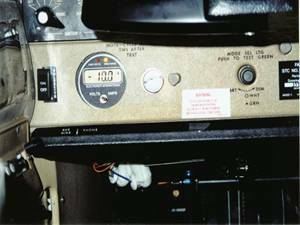 Engine limitations warning lights were installed on the left panel, in front of the pilot, to alert of an out of limit condition sensed by one of these new instruments. There is one for each engine. There are also dimmers installed, one for the LEDs on the M-1's and R-1's, another for the UBG-16 displays. 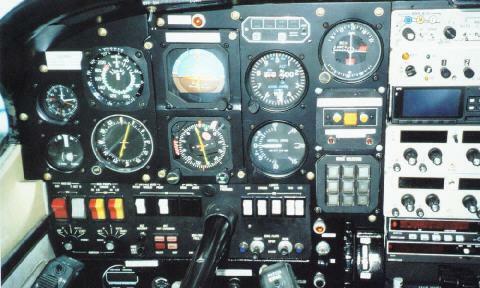 Installation of VA-1 volt/ammeter, and relocation of the prop de-ice ammeter in the lower left panel. The customer has commented we have to do something with the upper left hand panel, so stay tuned. When the customer's wife saw what was done to the right side, we were directed towards the left. Plastic cover and instruments removed, revealing little structure.